A chromosome is a structure of DNA, protein, and RNA found in cells. It is a single piece of coiled DNA containing many genes, regulatory elements and other nucleotide sequences. 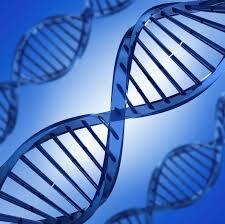 A gene is the molecular unit of heredity of a living organism. Asexual reproduction is a mode of reproduction by which offspring arise from a single organism, and inherit the genes of that parent only. Sexual reproduction is a process that creates a new organism by combining the genetic material of two organisms. There are two main processes in sexual reproduction. 1. Meiosis – is a type of cell division necessary for sexual reproduction in animals, plants and fungi. The number of sets of chromosomes in the cell undergoing meiosis is reduced to half the original number, typically from two sets to one set. 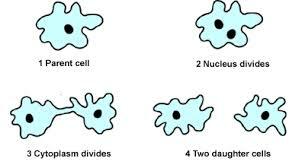 The cells produced by meiosis are called gametes. 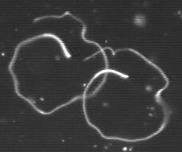 In many organisms, including all animals and land plants gametes are called sperm in males and egg cells or ova in females. 2. 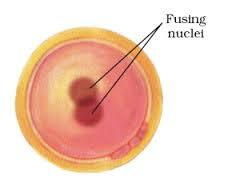 Fertilization – involving the fusion of two gametes and the restoration of the original number of chromosomes. The gamete (sperm or egg) carries one full set of chromosomes that includes a single copy of each chromosome. The female gamete (the egg or ovum) is the female haploid reproductive cell. The egg cell is not capable of active movement, and it is much larger than the motile sperm cells. When egg and sperm fuse, a diploid cell (the zygote) is formed, which gradually grows into a new organism. When does life begin? Does a zygote have a soul? Is live on earth precious? Is it worth saving? Is life on earth dispensable in the interest of higher forms? What if the inter-galactic DOT wishes to build a modern cosmic space though-o-fare that planet earth obstructs? Eminent domain? What happens next is even more amazing. “No problem”, said Harriett. “It’s just basic knowledge”. 2. Its is the form to use in all other instances when you want a form of i-t-s but you are not sure which one. Its is a possessive form; that is, it shows ownership the same way Ozzie’s or Harriett’s does. Example: The channel marker lost its nest. If we write “Ozzie’s nest” with an apostrophe, why do we write “its footprints” without an apostrophe? It’s is short for it is or it has. This is a 100% rule. It cannot be used for anything else. If you cannot expand it’s to it is or it has, then it is wrong. Its is like his and her. I look forward to receiving Osprey Tales. Thanks for sharing your extensive knowledge about so many things. Granny Lou, Thank you for your interest. Next up will be: Incubation. Hope you enjoy. ospreys are found world wide wherever there are rivers lakes, bays or seacoasts. the osprey nest is called aeries.